Over a year ago, Hilda Siemens and myself found ourselves in Toronto for the first-annual Etsy Captain’s Summit. 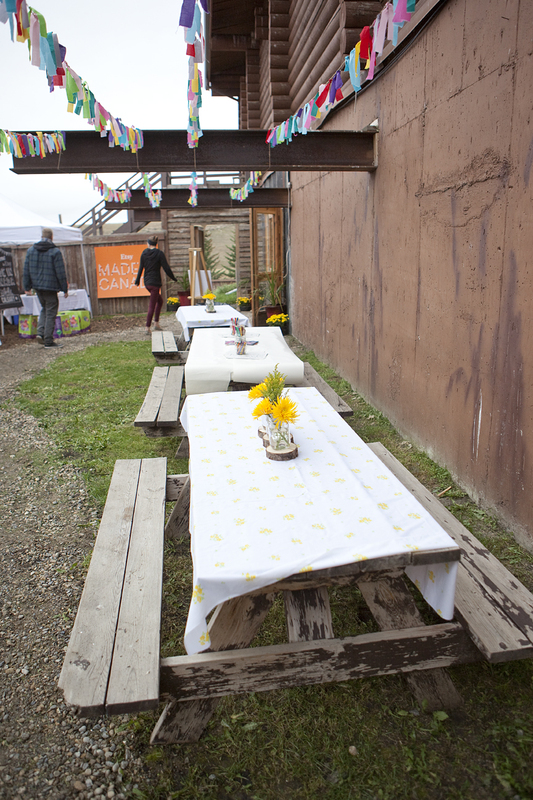 The main goal of the Summit was to give all of us the tools to put on a unique pop-up market, one that exclusively featured Canadian Etsy handmade and vintage sellers. Every major city in the country was to have their own version of the event. It looked like a daunting job at first, but after finding a venue, things moved fairly smoothly until the day was upon us. Lindy Turner provided the decor for the event, Etsy-inspired bunting and rustic touches, while Rozzie Lee made a sweet chalk-board print to welcome our buyers to the market. There was a little something for everyone at the market. From cute baby clothes to edgy accessories, to unique artwork and one-of-a-kind vintage pieces, there was a huge variety of quality goods for our shoppers to choose from. After the dust had settled, the numbers came in… Over 4000 shoppers came by to shop 39 vendors. 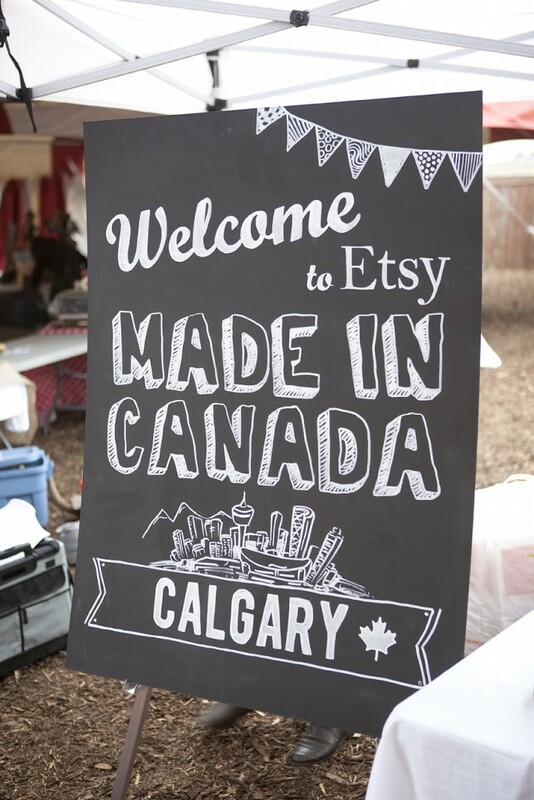 It was an amazing feeling to know just how much the Calgarian community had embraced having this market and it was inspiring to see so many people value the quality of handmade. This year, Hilda, Lindy, and myself are back. We attended the Captain’s Summit in Toronto again last February and have been hard at work to make the 2015 version of Calgary’s MiC market even bigger and better. We have a larger venue lined up, making for a comfortable shopping experience, but also making it possible to bring you many more vendors. How does close to 100 vendors sound? We think it sounds pretty great! In keeping with our theme of bigger and better, we’ve put together this website as a one-stop-shop for all things related to MiC in Calgary. Be sure to keep an eye on this blog as we make important announcements leading up to the market, as well as vendor introduction posts where we’ll give you a preview of all the great things you’ll be able to find at this year’s market. We can’t wait to see you on September 26th!